Since the departure of Paul Godfrey from the OLG we haven’t heard much about the status of the OLG’s online gaming initiative. If you visit the playolg.ca website you can get a sampling of what WILL be when the site is finally launched. Spielo G2 through its subsidiary Boss Media AB, won the tender to provide the games (wonder why?) and soon every Ontarion of legal age will be able to lose more of their hard earned money to the Government while sitting at home in their pajamas. If the machine’s payback are set anywhere as low as the machines at the Racinos and Commercial Casinos then people won’t be playing for long. Let’s hope that the OLG smartens up and gives people a fighting chance. iGaming: Internet Casino | Online Casino Games | OLG Modernization. Alex Igelman is a gaming lawyer and consultantbased in Toronto, Ontario, Canada. In 2007,Alex Igelman foundedGaming Research Partners, a full servicegaming and eSports consultancy that specializes in research and business development. I just loved your post. You offer some great tips and information here regarding various online casinos. I am surely going to put this information into use in the future. I would like to tell you about my brand new informative website on online casinos. On our website, you can find out the best online casinos by going through their reviews and ratings. 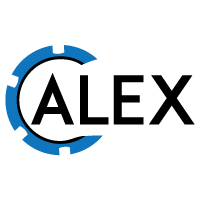 We are the complete guide on online casino where you can analyze and compare different online casinos sites to pick the right one. Alex Igelman is a gaming lawyer and consultant with over twenty-two years of experience in the gaming sector.